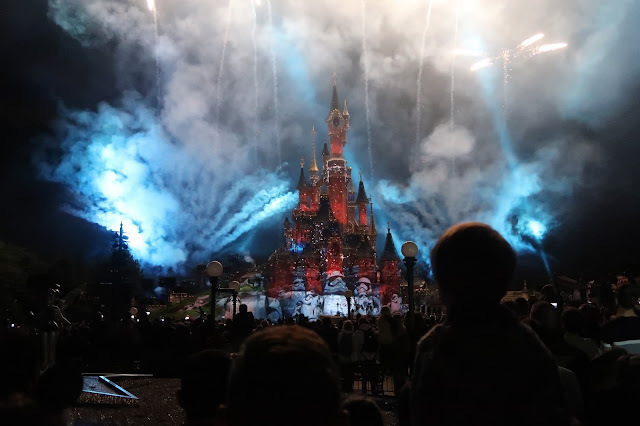 It's been nearly a month since we were at Disneyland Paris and the Disney blues have well and truly hit. I've definitely been looking at prices for return trips and dreaming about being back in the happy place. For now though, I wanted to blog about my top 10 moments from our trip. Meeting Characters was definitely the top of our list. There's something magical about greeting the characters and having those memories made with them. 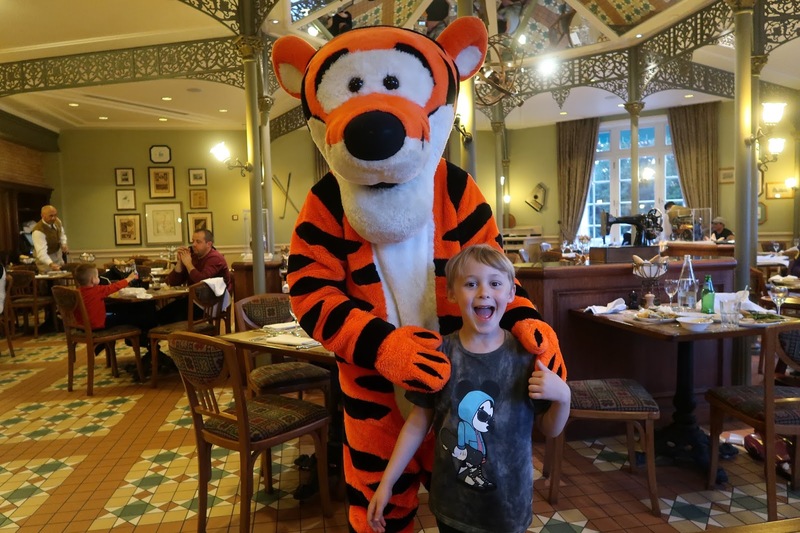 My personal highlight was probably having dinner at Inventions, but Max adored meeting Chip and Dale! The Disney Stars on Parade was brilliant, so much so that I saw it twice whilst the others went on the big rollercoasters. Whilst it's not my favourite soundtrack, I was in awe of the floats. The Maleficent one was just superb. Definitely one to not miss if you are going to Disney. I have to say, one of the top things about our stay was the hotel. We stayed at Newport Bay and I loved everything from the nautical themed room, to the friendly cast members that worked there. I have to give a shoutout to the fab cast member that worked in the gift shop. Each evening when we picked up our purchases he spent so long talking to us about our day. Whilst all the food was amazing, our favourite restaurant was Bistrot Chez Remy. Based on Ratatouille, the restaurant shrinks you to the size of Remy with oversized plates, jam jars and wine bottles. Not only is the interior gorgeous, but it was our best sit down meal by far! 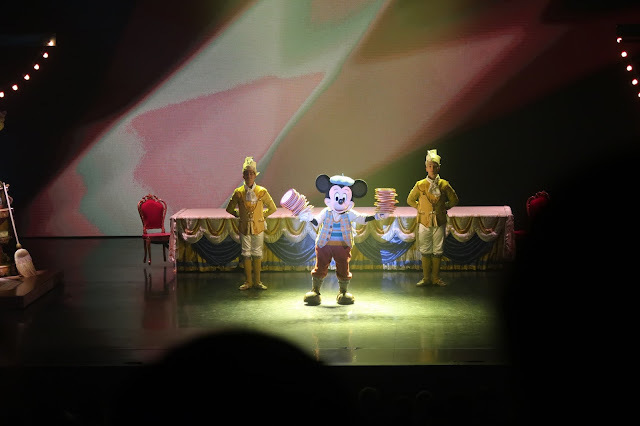 We didn't catch many shows, but on recommendation we went and saw Mickey and the Magician in the studios. It was utterly breathtaking and followed Mickey as he learnt how to make magic. To say we all shed a little tear was an understatement! It was just utterly beautiful and I hope I can go back and see it one day. Of course if you go to Disney you have to see the Illuminations. We went and saw them the first night we were there as we knew we would probably be too tired the rest of the weekend. It is a mix of fireworks and projections which is amazing and will take your breath away. I've put a few clips in our youtube video. My favourite ride in the studios was definitely the Ratatouille Ride. I've always loved the more movie based rides and this one was brilliant. It uses a trackless system and 3d glasses to give you a fully immersive experience that I absolutely loved. We managed to go on it a few times and it just got better each time. I never expected Max to love the big rides as much as he did. But his favourites included Rock N Rollercoaster, Hyperspace Mountain and Tower Of Terror. Whilst I am not a huge fan of rollercoasters (the upside down motion makes me so sick!) he came off them beaming and wanting to go on them again. We all collectively loved Big Thunder Mountain and wish that we could have gone on it more than once. Pirates of the Caribbean is a ride that I've loved from my childhood so it was fantastic to see an updated version of it. They've added some new additions including Jack Sparrow himself. Finally the top thing about being at Disney is probably the atmosphere of being at Disney. From the smells of each hotel to the sounds of each land in the parks, it's a experience that you will never forget and never want to leave. For some, going to Disney is a once in a lifetime thing, but I'm sure it won't be the last time we experience the magic! 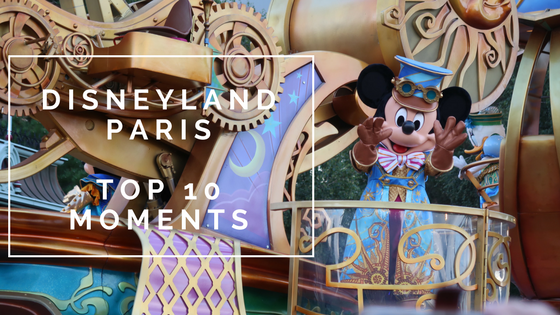 Labels: disney, disneyland paris, Top moments.